Although Orchid starts out vigorously with the loping drum shuffle we've all become familiar with since the emergence of Intelligent Techno, the mood soon shifts from the motion of the nightclub into the contemplation of the chillout room. Ishq (aka Matt Hillier) provides us with an album of aural expressionism intent upon restorative contemplation over dancehall diversion. After the activity of the opening, the lengthy middle third of the album opens up and out into a blissful habitat of reassuring tones, gentle melodies and drifting ambience. 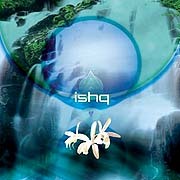 Ishq moves subtley between musical ideas and zones; his smooth transitions blurring the borders between tracks. Late in the album, "Bhakti" summons the listener again into focus with its intuitive beats and rhythmic flow. This track offers some contrast to the calm of the midsection and serves as a key transition in the arc of the album. In and of itself "Bhakti" is a somber and reflective piece, but in the context of Orchid it enables the listener with the resolve to carry out whatever realizations this journey has fostered.